Western Australia’s Kimberley region is a destination that draws travellers back time and time again. With its endless open spaces, incredible rock and gorge formations, intriguing ancient cultures and stunning coastlines, it’s easy to see why. The sense of adventure you feel in the Kimberley, Australia’s last great frontier, is hard to describe. Boasting some of the world’s most unique wilderness experiences such as the rugged Gibb River Road, Mitchell Plateau and the World Heritage-listed Bungle Bungle Range, there’s something to capture every imagination. This is rugged terrain, full of secret spots, newly discovered treasures and ancient wonders. And it’s large – some 320,000 square kilometres. That’s roughly three times the size of England, yet it’s home to a mere 30,000 people. World Heritage listed Purnululu National Park was only discovered by outsiders in the early 1980s. The Bungle Bungle sandstone massif dates back some 380 million years, and the striking beehive domes have protected Aboriginal rock art, sacred sites and rare vegetation. Bungle Bungle Wilderness Lodge, the exclusive domain of APT Kimberley Wilderness Adventures (KWA) offers tented cabin accommodation with hot water, crisp linens and flushing toilets – no roughing it here! The Mitchell Plateau and four-tiered Mitchell Falls at the north-west tip are the Kimberley’s best kept secrets and one of the most remote and inaccessible regions of Australia, accessible only by foot or air. It’s a wonderment of rainforest, open woodland, valleys and creeks. The Gibb River road is impassable in the wet season, but in the dry season it offers the opportunity to explore the Dreamtime world of age-old gorges, seasonal rivers, craggy bluffs, remote homesteads and Aboriginal legends along it’s 700km length. The best time to visit is May to October. El Questro Station and Wilderness Park is a must-do when in the Kimberley. This million-acre (yes, you read right … 1,000,000 acres!) property is a working cattle station with a herd of around 5,000. 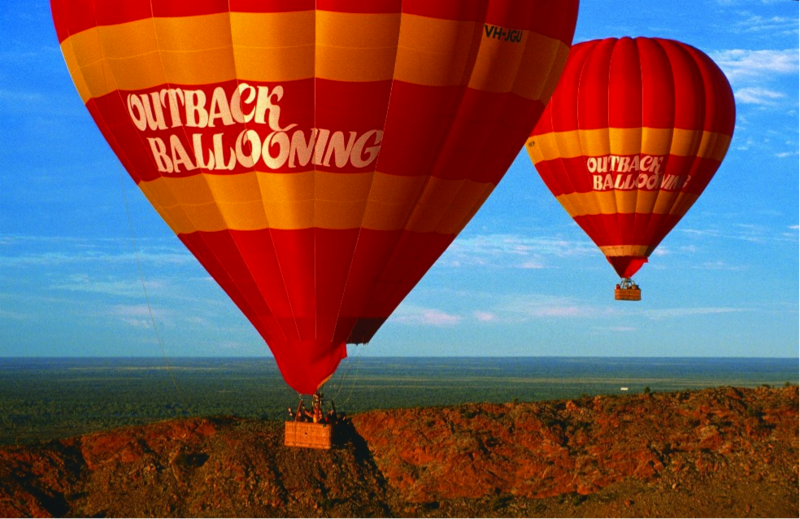 Visitors will witness impressive gorges, waterways, thermal pools, wildlife and Aboriginal rock art. Bush walks, a soak in Zebedee Springs and a cruise to Chamberlain Gorge make this an experience of a lifetime. 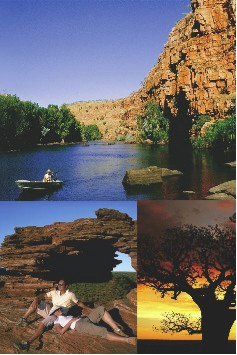 To experience the Kimberley region fully, you need a tour guide. With Kimberley Wilderness Adventures there are 4-wheel drive tours, air safaris, cruising holidays and special interest tours that can be adapted to suit each group. If you prefer to self-drive, KWA offer a means of touring the area without a carload full of camping equipment. Their camps and lodges have been strategically positioned to provide unparallelled access to the Kimberley region.